A salad is not complete until it's topped with my Aunt Ellen's Parmesan salad dressing. 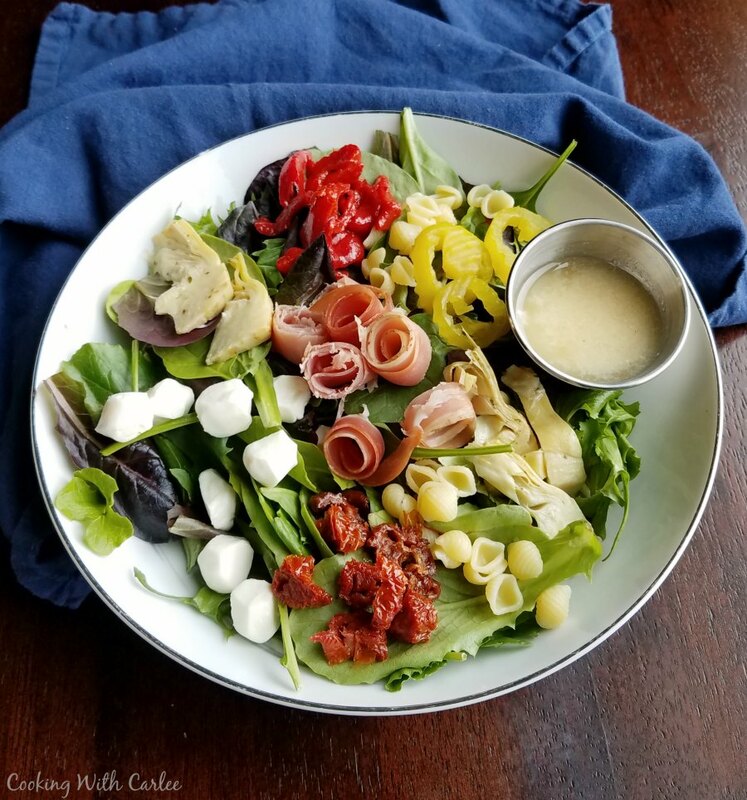 It is the perfect mix of flavors and is sure to make your next salad delicious! As a kid, we used to make an annual trip to visit my mom's Aunt Ellen and Uncle Richard in Ohio. We always had so much fun. They had a pinball machine, jukebox and a softball pitching machine... what more could you want?! The boys would go to a Reds game and us girls would choreograph dance routines or work up little skits. My mom's cousins, Courtney and Cassie, were a few years older than me and I always thought they were SO COOL. Great-Aunt Ellen would always make delicious meals and we had the best time. 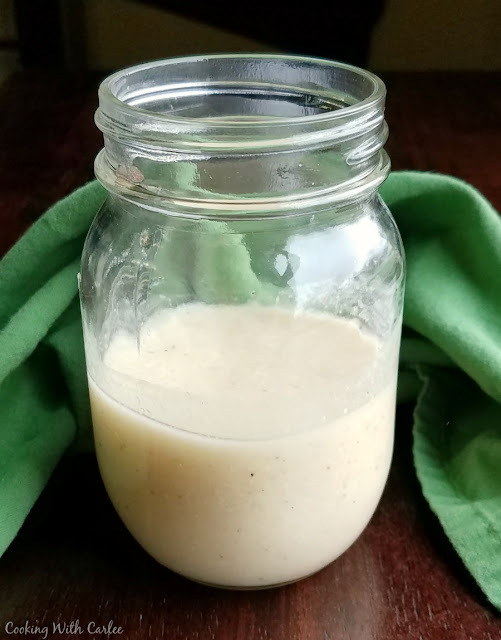 This salad dressing quickly became a family favorite of ours and my mom made it quite frequently after requesting the recipe. It is so much fun making recipes that have childhood memories attached. When I was deciding what kind of salad to make for Nana's wedding luncheon, I was was thumbing through some recipes and stopped as soon as I got to this one. I knew it would be a hit with everyone! Pour into a jar with tight fitting lid and refrigerate. Let sit out of refrigerator a while and shake well before use. Me and my sisters would choreograph dances to music too :) Good times! I just recently started trying my hand at homemade salad dressings and this one sounds delicious. Pinning to try it out. Thanks for the easy and delicious recipe. Have a great weekend. We'd always make everyone sit through whatever we had thought up! We always had fun on our visits. I hope you enjoy this dressing, I hadn't had it in a while and it is just as good as I remember! This sounds so good! I always make my own dressings! It is still one of my favorites! We always had the best time! I hope you love the dressing! Thanks for stopping by.